I was putting together the parts to Superlift my truck. 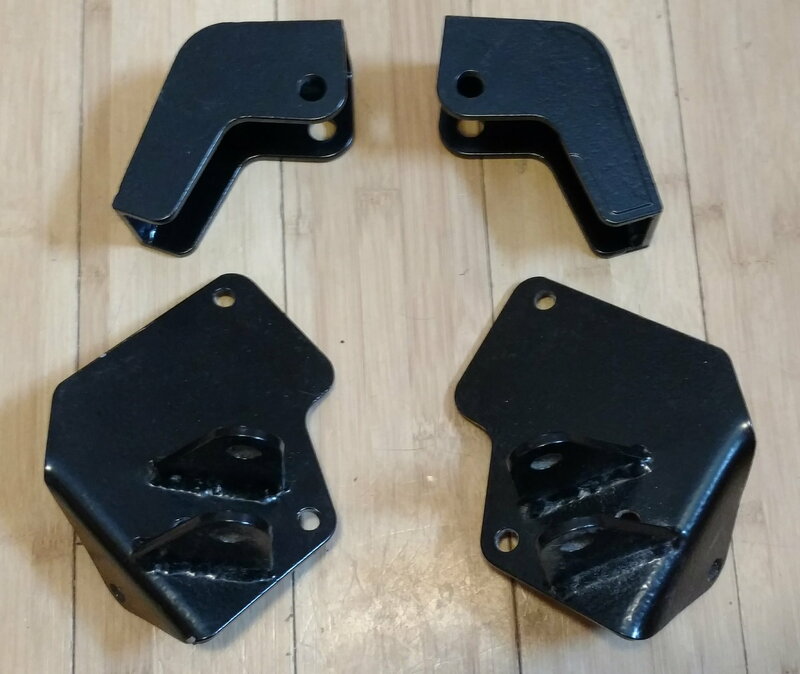 I had the knuckles freshly powdercoated, and purchased the control arm drop brackets. I hadn't got the cross braces or differential brackets yet. I also had my prototype coilover brackets blasted and powdercoated at the same time. The bare surfaces on the knuckles have light surface rust, but fine sandpaper will take it off in no time. They have been in my garage, not out in the elements. These knuckles are made for the 98-99 Rangers with vacuum hubs, but can be used on any year. If you have the newer, larger brakes, the holes for the caliper brackets can be drilled into them. There is enough material there, and if you have seen the 00+ knuckles, you know that Superlift dual drills them. The truck has been sold, so I no longer have any use for these parts. I will get pics of the coilover brackets up ASAP. I will have to get stuff in a box and weight them to estimate any shipping. 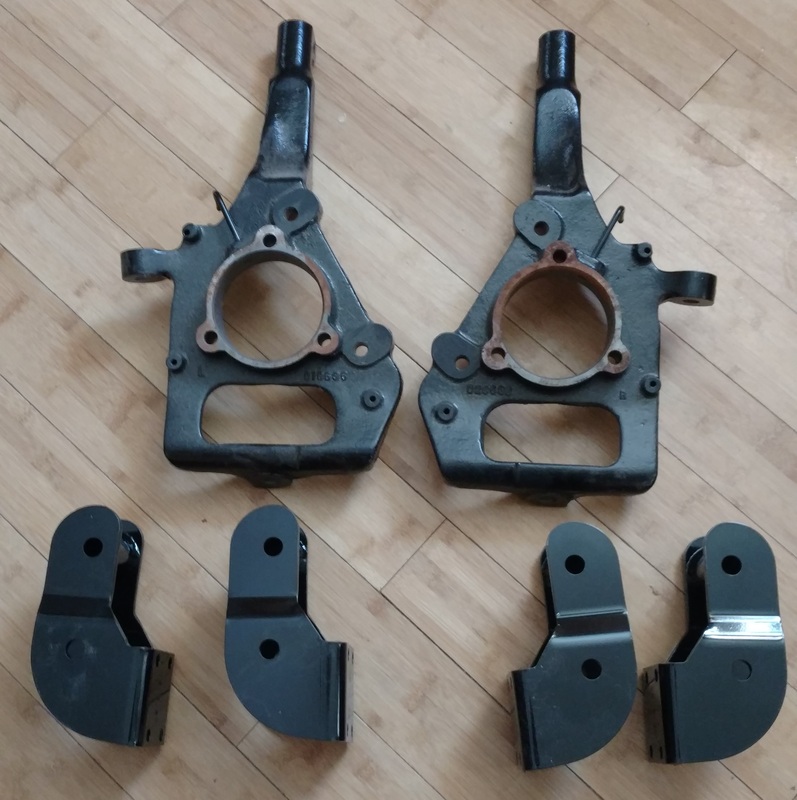 Prototype coilover brackets still available.